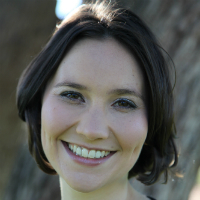 Alysia Blackham is an Associate Professor and Discovery Early Career Researcher at Melbourne Law School. Her research focuses on the intersection of employment law, equality law and public law, using empirical evidence to cast new light on legal problems. Alysia’s recent work concentrates on the consequences of demographic ageing for workplaces. A monograph based on Alysia’s PhD thesis, entitled Extending Working Life for Older Workers: Age Discrimination Law, Policy and Practice, was published by Hart in 2016, and was awarded second prize in the UK Society of Legal Scholars’ Peter Birks Prizes for Outstanding Legal Scholarship in 2017. In 2017 Alysia commenced the project DE170100228 ‘Addressing Age Discrimination in Employment’, funded by the Australian Research Council as part of the Discovery Early Career Researcher scheme. Further details can be accessed at ageworks.info. Alysia has previously worked as: the Turpin-Lipstein Fellow and College Lecturer in Law and Director of Studies at Clare College, Cambridge; an Affiliated Lecturer at the Faculty of Law at the University of Cambridge; an employment law solicitor at Herbert Smith Freehills in Sydney; a lecturer at the University of Sydney and University of New South Wales; and Executive Officer to the Deputy Vice-Chancellor (Corporate Services) at the University of Technology, Sydney. Alysia holds a Bachelor of Arts and Bachelor of Laws (with First Class Honours) from the University of Melbourne, and a PhD in Law from Gonville and Caius College at the University of Cambridge.